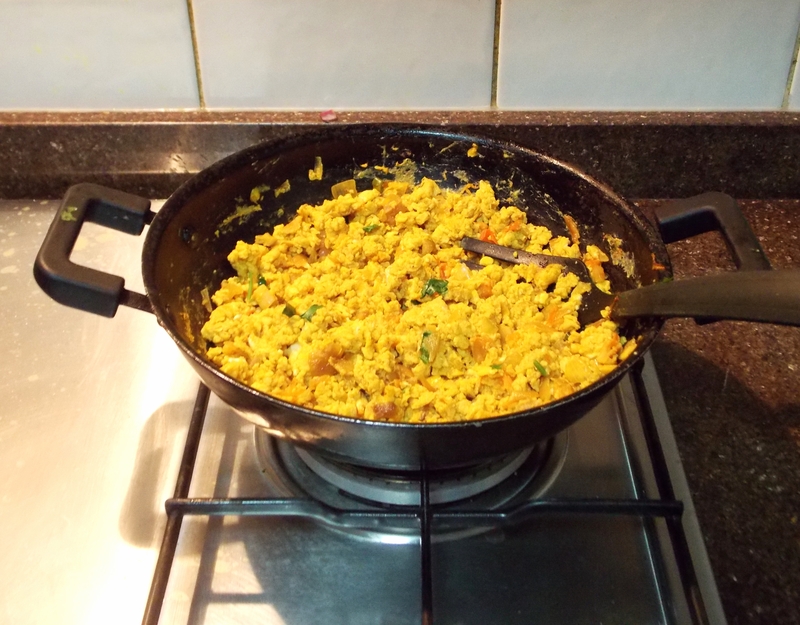 This Shack Saturdays brings a super comfort food Egg Bhurji or Indian Style Scrambled Egg. It is our weeknight favourite. Especially when back from work all tired the easiest and quickest thing we think of is Egg Bhurji or Indian Style Scrambled Egg with Chapati (Indian Bread). It’s a fantastic combination… Try it out, you’ll love it! 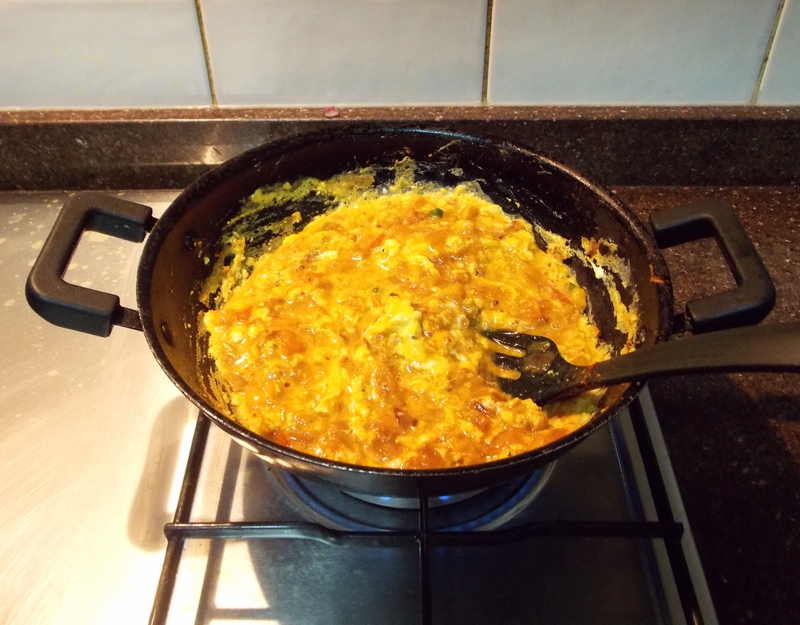 Heat oil in a pan (kadhai). Put garlic and onion and sauté for 2-3 minutes. Add a pinch of salt, turmeric, red chilli powder and garam masala and mix well. After half a minute, add tomato and green chilli and cook for 4-5 minutes. Add the egg to the mixture now and stir continuously on medium flame. A minute before the egg is completely cooked add the broken coriander leaves and mix well. That’s about it! It’s truly a simple delight! 🙂 Serve hot with a bread of your choice. Dhanyawad! Thank you! Shukriya! Gracias! Merci! Sounds great, sometimes simple is the best but with such good flavors, it has to be tasty! Thanks for bringing to Fiesta Friday! It was yummy indeed! 🙂 Thanks, Saritha! 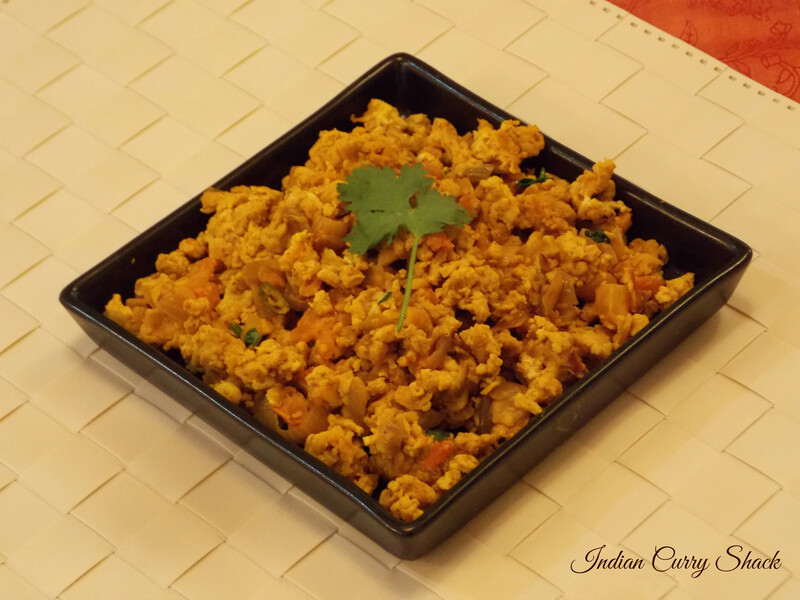 Egg Bhurji is the bestest one-dish meal ever!